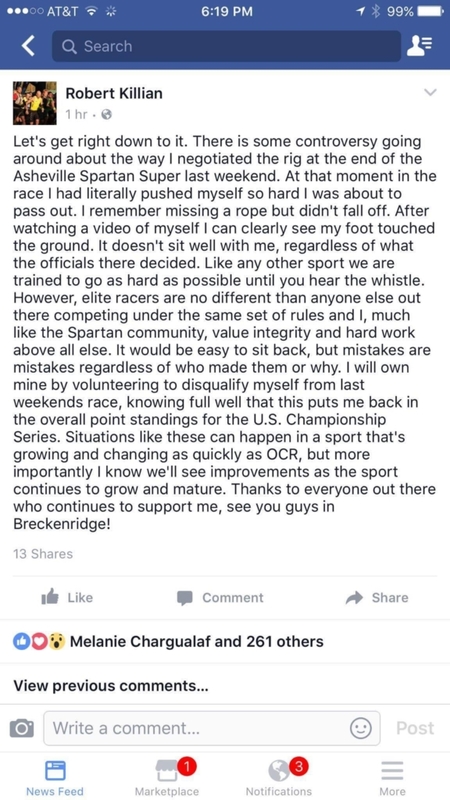 Over the weekend, Spartan Race had some controversy with one of the elite athletes, Robert Killian. Killian while attempting the Rig obstacle had his foot brush the ground but the officials did not see it happen however others observed the action and lack of penalty. When a video surfaced from the race the Internet started buzzing. Yesterday, Killian posted on his personal Facebook Page his side of the story, saying he did not realize his foot hit the ground and followed officials orders on race day but after further video review saw his foot did hit the ground. There hasn’t been a sport in history that’s grown as quickly as Obstacle Racing has. Over the past 5 years we’ve seen the face of the sport change from a small race in Vermont, to a worldwide sport with over 1 million participants, global rankings, timing, regional, national and World Championship events. With that growth can come growing pains, and the situation that has been the topic of conversation was a result of that. 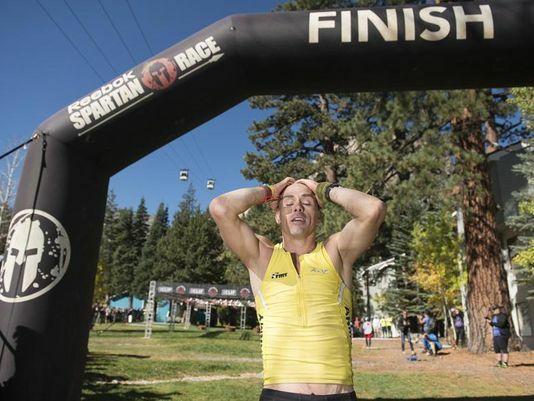 The situation involved Elite racer Robert Killian, who was attempting to complete the Rig obstacle, when it appeared his foot made contact with the ground. It was decided by referees on site that it didn’t appear that there was any weight put down or that this contact provided an advantage. Based on this interpretation by the referee, the decision was made not to fail the racer. The dispute period for officiating decisions extends until the time of the awards presentation on the day of the race. Since the window of dispute has passed, the results are final and will stand. Spartan Race is an evolving sport and the integrity of the sport’s standards and rules is our top priority. At the end of the day we trust our referees and our elite athletes to officiate and participate at a level of integrity beyond reproach. We greatly respect that Captain Robert Killian is asking to be DQ’d, but we will stand by our decision on that day. As obstacle racing continues to push towards finding its place in sport this will undoubtedly not be the last time a questionable call is made. but at the same time it allows for the sport to grow, adapt, and continue to evolve.